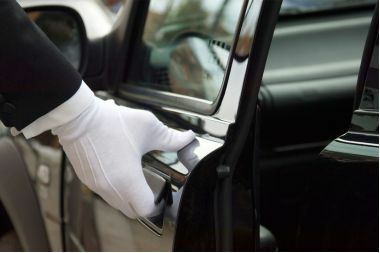 From Naples Capodichino airport you can take a taxi or a shuttle bus (Alibus – the bus service that operates between the airport and Molo Beverello port) to reach Molo Beverello port or the port of Calata Porta di Massa. If you take a taxi, we suggest asking the price before. Usually the pre-determined price is about 16,00 € to Molo Beverello and 20,00 € to Mergellina. From Naples’ Stazione Centrale train station in Piazza Garibaldi you can reach the port taking a taxi, a bus or a subway (reachable outside the train station). You can buy tickets in the train station. For the taxi service, the price is about 10,00 €. From Naples: You can take the motorway to reach Naples or Pozzuoli. 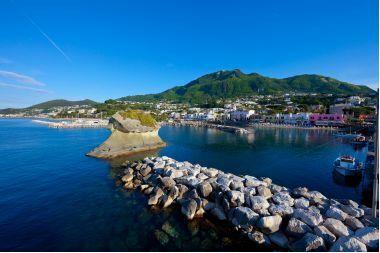 To reach the port of Naples (Calata Porta di Massa), take the Naples ring road to “Napoli – Porto”, following signs towards Calata Porta di Massa. Ferries for the embarkation of cars leave from here. From Pozzuoli: To reach the Port of Pozzuoli from the motorway, after the Naples toll booth proceed for 12 km following signs towards Pozzuoli, then take Via Campana exit. 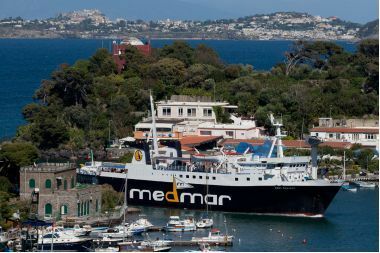 Ferries depart for Ischia Port or Casamicciola Terme port. 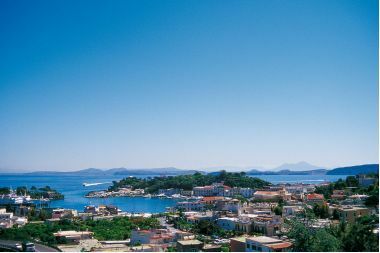 The crossing lasts 60 or 90 minutes, depends on the stops at Procida port.